So, it's time to replace the clutch. You could tell by the hesitant response of the car to increase rpm of the engine. Reasons for this can be many. For example you love to ride very fast. Or Vice versa, you do not know how to drive a car and often to untwist the engine up to red zone. In any case you will feel in the cabin unpleasant smell of scorched clutch. If you continue to ride in the same style, with the times, the car will move slower, without any apparent reason. It feels good, the engine responds to the accelerator pedal normally while the machine is gaining speed not so fast. If you have to replace the clutch, you should think about the cause of its deterioration and the need to install a more reliable option. Of course, it is not needed if the clutch was scorched by the inability of use. Feel free to put normal, because at first no one knows how to drive. But let the option to install standard clutch will leave it to the repairs section of our website. Here, we consider the question of revision of the clutch. Or rather its replacement for the best. A good option is to install a metal-ceramic clutch. It is often used on sports cars. You should not worry about too high cost. The level of competition and not too high cost of today's manufacturing sintered clutch made it available for almost any car. In addition to the metal-ceramic today, you can install disks of other materials, with good performance. For example, disks with Carbon Fiber onlays made of ceramic, Kevlar and carbon fiber. This clutch from the usual little different, but at the same time it transmits 10% more torque without increasing downforce basket. As a result, the car gets the usual smooth grip with increased wear resistance approximately by 2-4 times. It is possible to meet fully Kevlar disc pads — they easily withstand high temperatures and virtually no surface wear out flywheels and clutches. Such discs themselves are very long. The only drawback – they need a good pre-running is about 10 000 km. You can even find copper pads. The coefficient of friction and temperature are very high. Their problem lies in their rigidity. 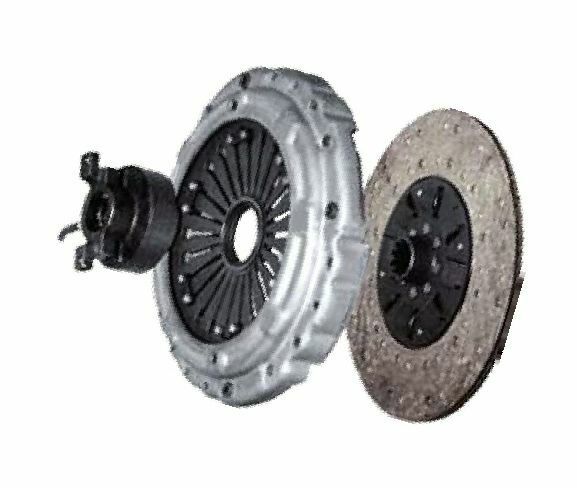 They are very much worn by the other clutch parts – flywheels and baskets. But in some cases this can be neglected, for example in street and drag racing. As you can see, the range is quite wide and there are plenty to choose from. The great thing about this is that the cost of the clutch is not too high, and afford the tuning of this site will afford even the owners of inexpensive cars.